From incomparable quality to a flawless fit, bespoke garments are unique, exquisite, and timeless. Unlike off-the-rack pieces, custom-tailored clothing has a longer shelf life, often becoming wardrobe staples. What’s more, tailored garments advertise the character, personality, and confidence of the person wearing them. Needless to say, tailoring is more than cutting, fitting, and finishing clothes. It’s an art. It’s design. It’s an affordable investment – one that’s long lasting. A tailor and his or her craft is one of the most significant elements in the history of modern fashion. Documented as first appearing in the Oxford Dictionary in the latter part of the 1200s, the tailor meaning comes from the French word tailler, which means, “to cut”. As follows, the corresponding Latin word is sartor, referring to someone who mends or patches clothes; the English word is sartorial, relating to tailored clothes broadly. A tailor is sometimes confused with or thought to be the same as a seamstress. Often used interchangeably, the two titles are characteristically different. In an attempt to define tailor, the Merriam-Webster dictionary refers to the obvious – a person whose occupation is altering or making articles of clothing (i.e. custom suits, dresses, pants, shirts and jackets) to fit a particular person. On the other hand, a seamstress is defined as a woman whose occupation is sewing. Further, some clothing tailors specialize in specific luxe materials, such as linen or silk. 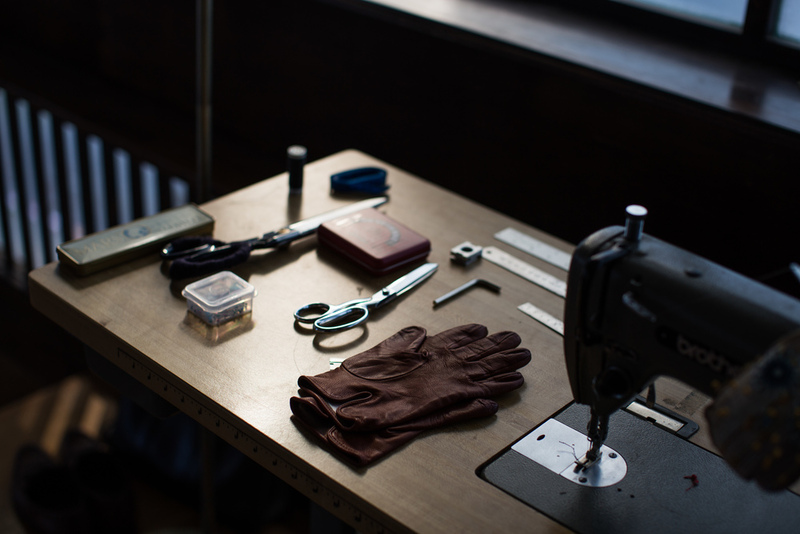 Others specialize in certain functions – sewing custom garments or alterations. In any case, a professional tailor breathes life into garments, transforming fabric into personalized, one-of-a-kind works of art. The care and attention given by tailors has lead to a high demand in their services for weddings, job interviews, and everyday wear. The trade, craft, and artistry of clothing tailors have existed for quite some time - centuries. Dating back to the Middle Ages, clothing was not used to exude one’s personal style or accentuate the human form. In fact, clothing was used as a means of concealing or covering the body, generally made from a single piece of cloth. During this time period, the earliest tailors were known as linen armorers. These particular tailors fabricated padded, customized linen garments designed to be worn under chainmail to protect from chafing, which was associated with wearing heavy armor. Beginning in the 12th century through the Renaissance period, tailoring began to diversify in Western Europe. Clothing slowly evolved to become a necessity as attitudes changed. Garments once worn loose and shapeless began to be shortened, tightened, and sewn together to resemble the frame and form of the body. Unique patterns and special requests for specific styles revealed the new role clothing would play in personal expression, projecting status, showing off wealth, and pure vanity. Addedly, the demand for experienced tailors emerged as fashion gradually commenced as a concept and knowledge about the benefits of custom fit clothing began to spread. For this reason, the art, science, and precision of the trade of a tailor became a highly regarded, specialized, and complex craft. Master tailors eventually bore the responsibility of clothing society. This alone could make anyone question – what is a tailor? It was clear; they were an invaluable part of society. In parallel with this notion, there was an increase in apprentices. Not only to teach others the intricate trade, but to meet the demands of the public. With no manuals or guidebooks (the first said to be published in the late 1700s) during this period, master tailors become the primary source of information and education. They mentored and instructed aspiring apprentices through practical experience. The majority of apprentices were initially restricted and trained only in molding woolen cloth to the shape of an individual’s frame. Once mastered, the apprentice was permitted to experiment and display their own particular style and skill. They added aesthetic elements that enhanced and emphasized the individual’s best qualities. Since the apprentice-style of teaching, there have been countless innovations in the fashion industry: education, sewing machines, manufacturing, fabric technology, mass production, and more. But, the art and craftsmanship of creating customized bespoke garments remains untouched. Despite today’s modern manufacturing techniques that no longer rely on the human hand; off-the-rack, ready-made options; and overall less expensive selections, a clothes tailor is still looked to as a champion of excellence and uniqueness. The surge in demand for superior quality, handcrafted products is bringing new attention to bespoke garments, and the expertise of the tailor. There is no doubt that the best suits for men are tailor-made. The question left for you is – What does “tailor” mean to you? What does it mean for your personal style? What type of impression do you want to make?